I am writing this on behalf of Mr. Shameer (36yrs, M, father of 2 kids) from Pattambi, Kerala who is my family friend. He was tea vendor in local market. 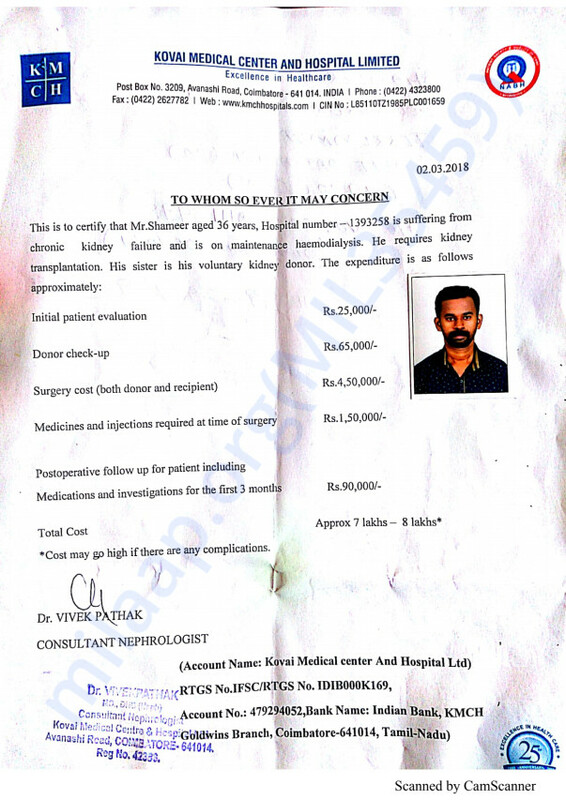 He is suffering from kidney failure and is admitted in Kovai Medical Center Hospital, Coimbatore (Hospital Patient Reference number: 1393258) and undergoing treatment. His younger sister is kidney donor. He is in need of financial assistance of Rs. 8,00,000 (Eight lakhs only) and post operative medical care. On behalf of Mr.Sameer, I thank all the donors who have contributed wholeheartedly as well as future contributors. Almost all pre operative tests are over for him as well as for donor. 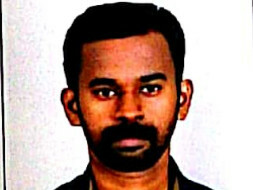 It is expected that, he might be undergoing transplantation by next week. Please pray for him for his successful operation and speedy recovery. Wishing you a quick and complete recovery. Get Well Soon.